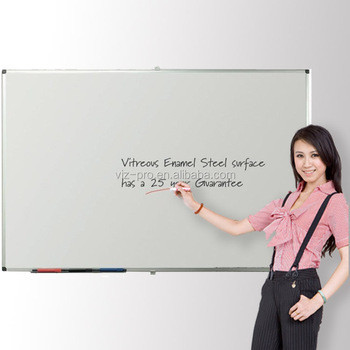 1) Writing surface offers 3 different feature options: non-magnetic, magnetic, and magnetic with premium enamel coated. 2) Writes with standard Dry-Erase marker and dry-wipe. 3) Sturdy and light weight frame for easy display. Wall fixture kit is included for wall mounted display method. 4) Variety size options made for all age groups and all education types. 5) Surface guarantee: Malamine 2 years, Lacquer 5 years, enamel 10 years.